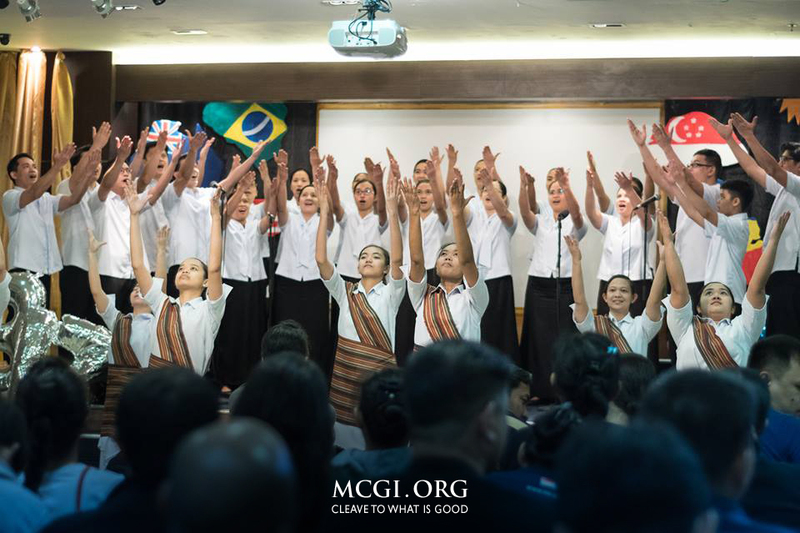 The Locale Choir and Teatro Kristiano of the Locale of Singapore during the 3rd Day of the Special International Thanksgiving of God. 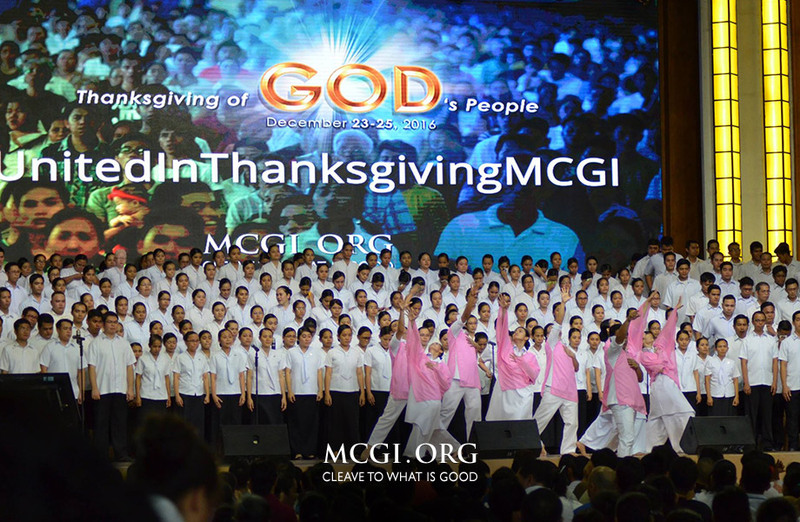 Our locale in Singapore is just one of the many satellite points across the globe who joined the congregation in celebration of thanksgiving. Bro. 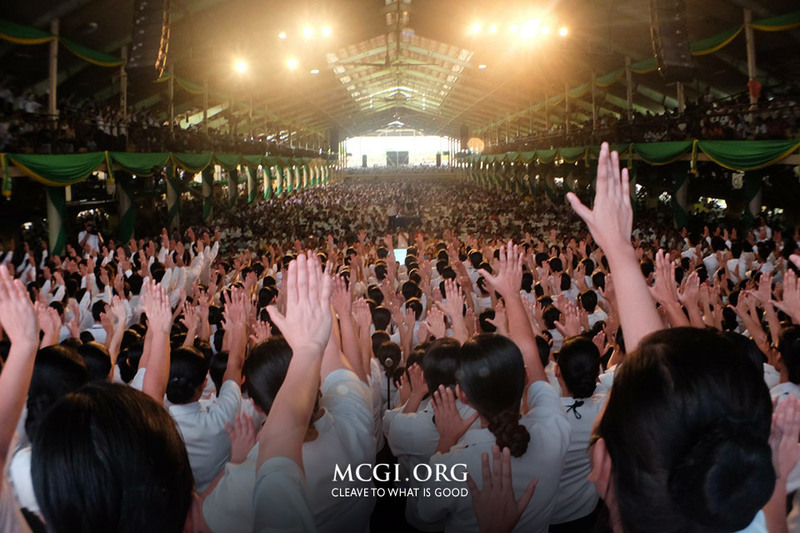 Daniel Razon, the Assistant Over-all Servant to the Members Church of God International (MCGI), said this during the first day of the three-day Thanksgiving of God’s People (TGP) or Special Pasalamat ng Buong Bayan (SPBB). Thousands of congregants from Pampanga and nearby cities and provinces trooped to the ADD Convention Center in Apalit, Pampanga from September 29 to October 1 to attend the quarterly celebration. Bro. Eli Soriano, Overall Servant to MCGI, speaks in front of thousands of brethren gathered in the Central (ADD Convention) in his delivery of the Biblical topic for thanksgiving. 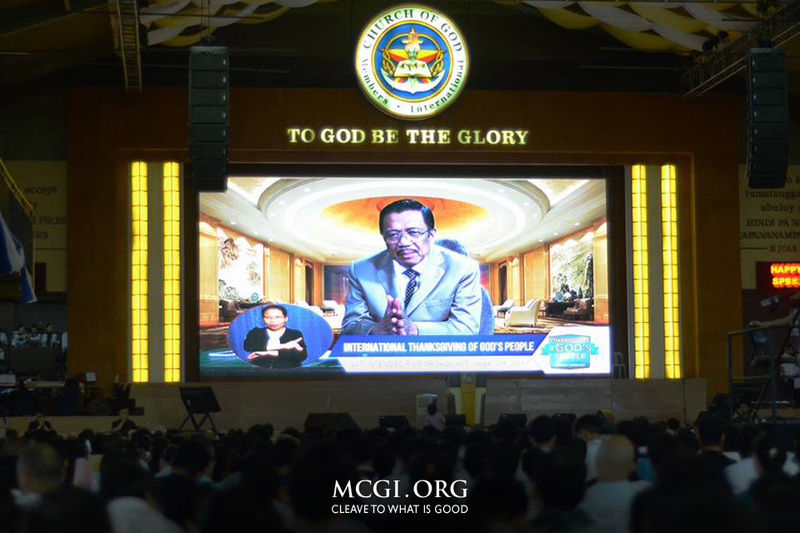 Some brethren, especially the elderlies, from farther provinces and other countries were able to attend the three-day thanksgiving through live satellite feeds and live streaming provided exclusively to Church coordinating centers and locales. The reason it is called a Special Thanksgiving of God’s People lies in it being held for three consecutive days every quarter. The regular Thanksgiving of God’s People is being held on a weekly basis, every Sunday that starts at 6 a.m. (Philippine Time). Prior to the SPBB of this quarter, Bro. Eli and Bro Daniel have set the regular Thanksgiving into a day devoted for congregants to ask questions live during the consultation portion. Church members were also encouraged to consult the Overall Servants about problems or challenges they encountered while performing their duties in the Church. As the three full days unfold, members were in high spirits and awe to the wisdom after hearing the biblical topics prepared by Bro. Eli Soriano and Bro. Daniel Razon. “The three days passed by too quickly for me due to my excitement for the wonderful topics,” exclaimed Sis. Lenibel Alemania, a youth member from Batangas who celebrated the three-day TGP in Apalit. Aside from the biblical topic that inspired the brethren to continue doing good, Bro. Soriano also discussed what it means to be a Filipino according to the Bible. 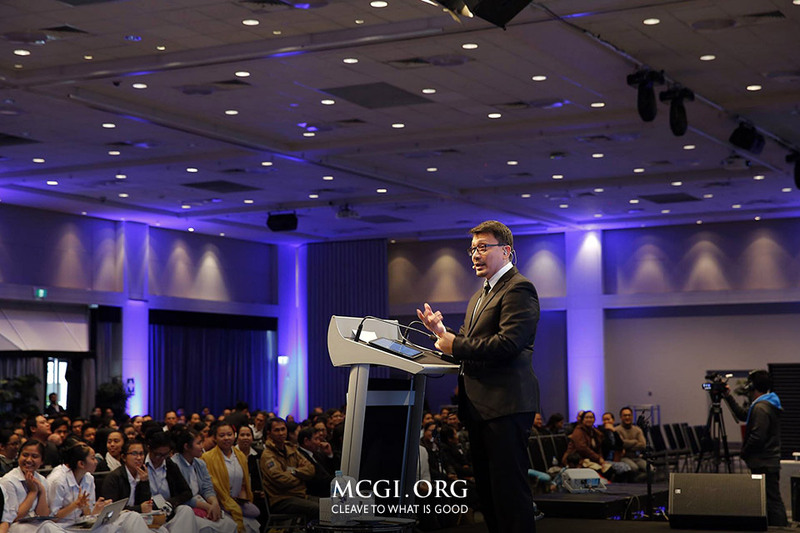 The international televangelist also discussed the different biblical proofs why the Holy Scriptures is a gift of God in our time. “I was overwhelmed and felt like I wanted more. With the wisdom I’ve heard, my faith and belief were strengthened that the Bible is indeed truth and it cannot be disproved,” added Sis Lenibel. Brethren also took to social media to express their feelings of joy and gladness. The hashtag used for the three day events landed on the No. 1 spot in the Philippine Trends for more than 10 hours.